Published: Feb 10, 2019 - Modified: Apr 22, 2019 - by Chef Rodney - 1 Comment - This post contains Ads & Affiliate Links. I was dying to find a new recipe for a spread. Something that my guests could easily spread on crackers or melba toast. 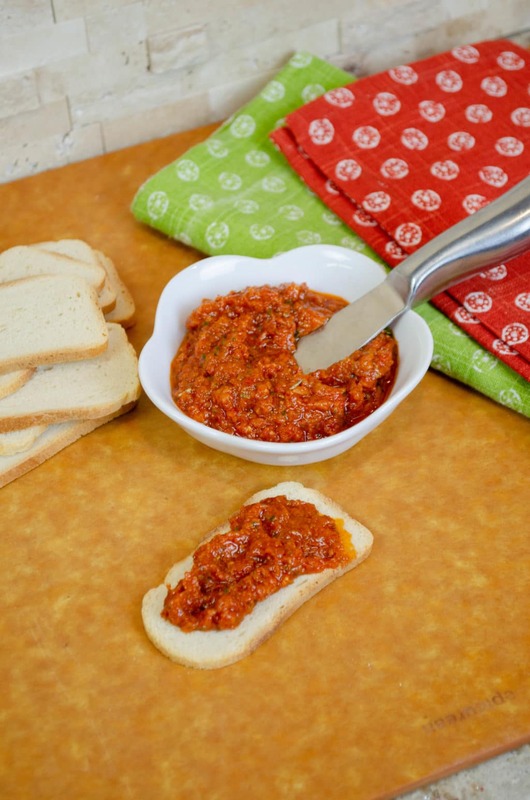 A simple google search will reveal hundreds, if not thousands of different recipes for spreads. 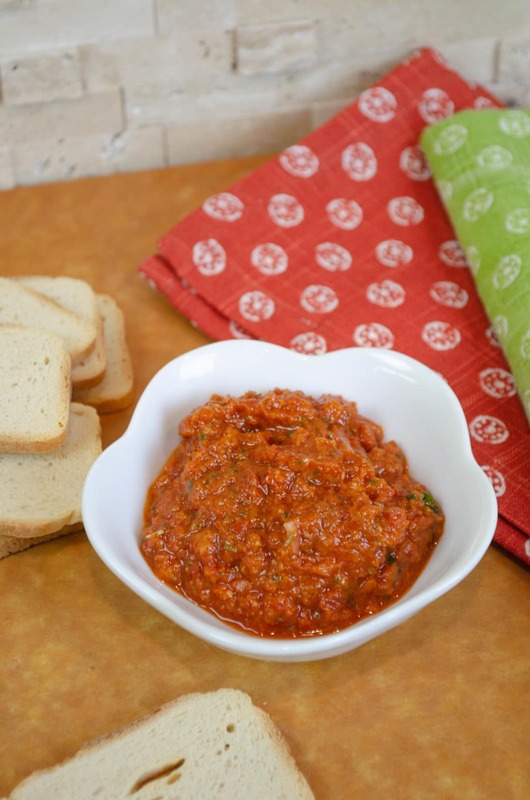 This Sun-Dried Tomato and Basil Spread was inspired by a few recipes I found but modified to use simple ingredients that are readily available. 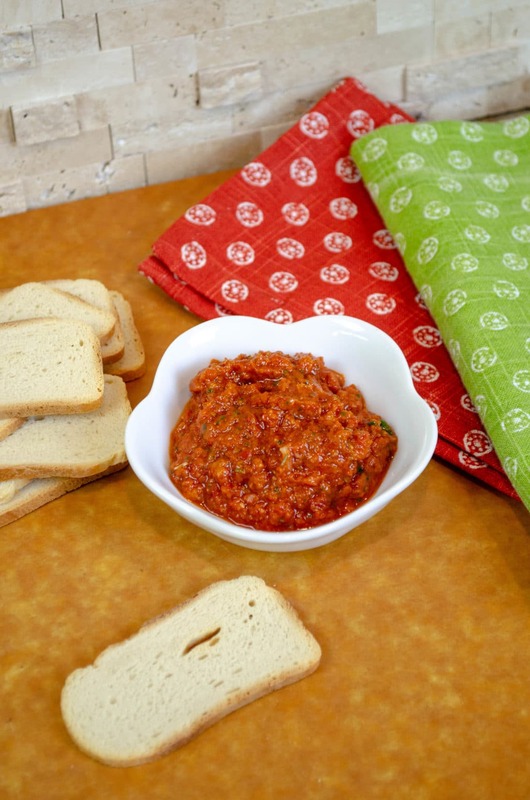 This Sun-Dried Tomato and Basil Spread has a beautiful color and the perfect consistency for spreading on crackers. But I must warn you, this spread has a kick to it! The heat comes mostly from the Chili Oil. While I really enjoy a little kick in many of my recipes, you can easily tone this one down by substituting the Chili Oil with more Extra Virgin Olive Oil. That being said, the combination of the sun-dried tomatoes and the basil is what makes this a great spread. Now some of you may find this a little funny but if you decide to make this delicious recipe, make sure use Basil leaves and not Bay leaves. Both look similar at first glance and, at least in my area, are often sold next to each other. One time when I made this recipe, I was rushing trying to make too many things at once and accidentally grabbed Bay leaves instead of the Basil leaves. Doh! It wasn’t until I did a taste test for the salt that I realized my mistake. If you happen to make the same mistake (please don’t! ), THROW IT OUT. It will taste nasty. Put garlic, onion, and basil in the food processor and process until chopped. Add tomatoes and tomato paste, and process until blended. Slowly add oils and vinegar to incorporate. Season with herbs and spices. → You can add more olive oil of your choice to acquire the preferred consistency. While I am not a fan of spicy food, I made this for company that was coming to the house. This spread was the highlight of the evening. My company just could not get enough of it and everyone asked me for the recipe. Will definately make it again.